And hooray for our erstwhile American friends, celebrating a holiday that focuses mainly on scaring the crap out of the little ones. Happy Halloween! 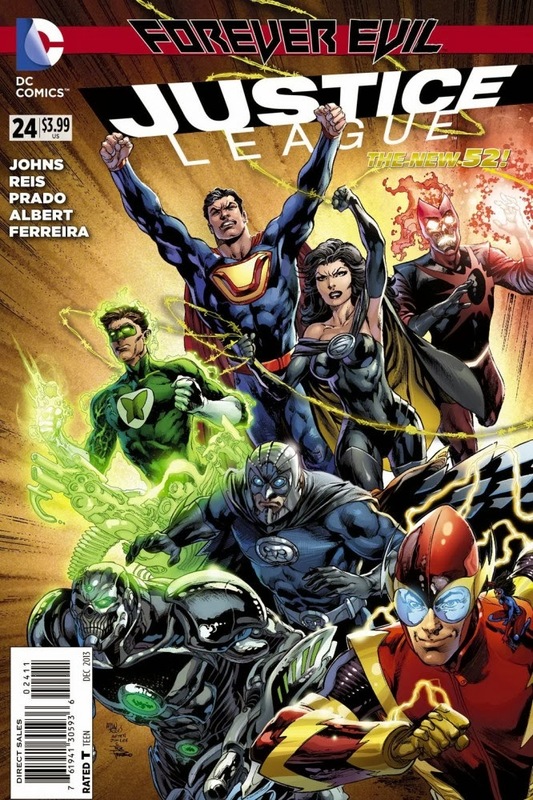 Justice League #24 - "This isn't about a good world and an evil one. It's about strength and weakness. And where we have stamped out weakness, this world lets it thrive." First of all, you have to love the cover to this issue, which is, of course, a mirror-image homage to the cover of Justice League #1...nice! Anyway, this "Forever Evil" tie-in issue focuses mainly on the Earth 3 Superman, aka Ultraman. It basically tells the Superman origin story...dying planet, desperate parents, escape rocket...but of course a twisted and WRONG version of it. Superman...the very IDEA of Superman...made the world a better place (even our "non-fictional" world!) but the idea of Ultraman marks the beginning of the end for Earth 3. Not that they had a lot going for them in the first place, what with the whole dimension being "evil". We also touch on Ultraman's private agenda on the "main" Earth, as well as what the rest of his team, the Crime Syndicate, are doing. Nothing good, that's for darn sure...but plenty that's entertaining! Great issue! Can't wait for more! What other comics force me into the blatant overuse of exclamation points this week? Find out after the JUMP! 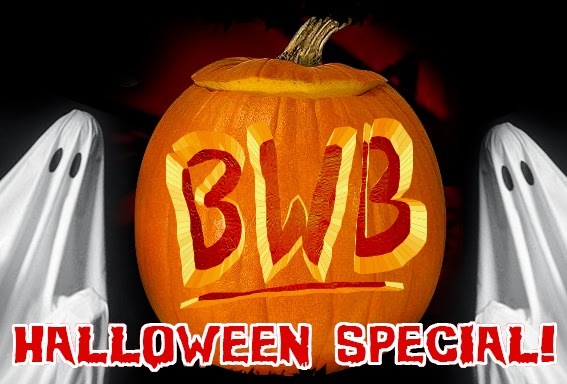 This week we throw the rules completely out the window as we read and discuss a very different type of adaptation for our surprise spooktacular Halloween Special! I am joined by the steel-nerved Queen of Halloween, Courtney Coulson as we tackle the most genuinely spine-chilling text in Book Was Better history, a text so frightening that I dare not even utter its name. Plug it into your ears and all will be unveiled! There's nothing I live for more than sitting down and checking out the latest movie from Marvel Studios. I may be a little biased with the Avengers logo tattooed on my wrist but I don't think there's been a series as solid and enjoyable over the course of so many films. This movie is our eighth film the series. Eight movies that can both stand on their own and stand together in a cohesive universe. That's a remarkable achievement. Personally I don't think there's been a bad movie in the bunch. Iron Man 2 and the Incredible Hulk may be often bagged out but they aren't horrible by any means. Some of my friends may disagree but I really enjoyed Iron Man 3. Marvel have the formula down to a fine art. Does the movie continue Marvel's run of fantastic blockbusters? FPcast! The Fruitless Pursuits Podcast for October 28th! Winter Soldier is Coming! 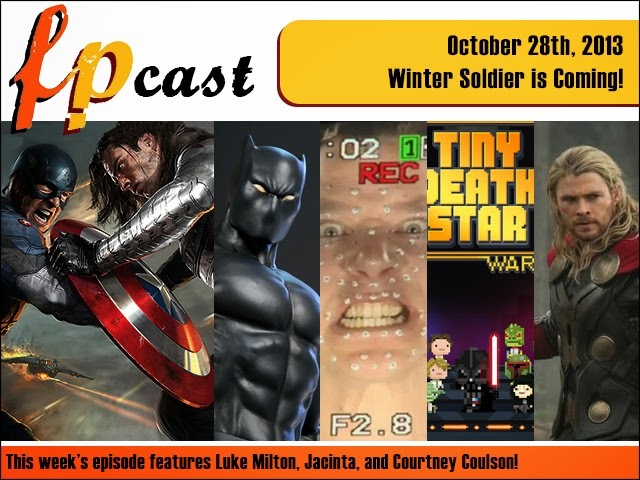 This week Luke, Jacinta and Courtney discuss the Captain America 2 trailer, Black Panther movie, Benedict Cumberbatch as Smaug, Star Wars Tiny Death Star, Thor 2 and much MORE! I recently picked up a copy of the new cast dramatised Neverwhere by Neil Gaiman. I reviewed the graphic novel adaptation earlier here in case you want some background. 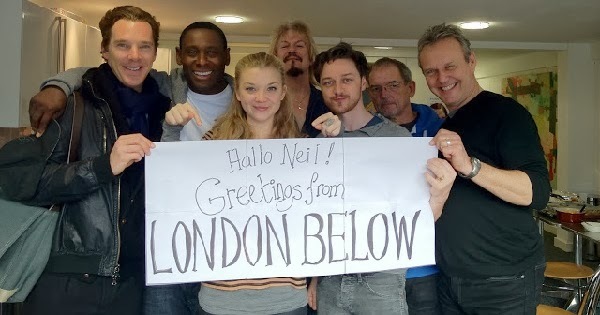 Featuring James McAvoy, Natalie Dormer, Benedict Cumberbatch, Anthony Head, David Harewood and Sophie Okonedo it's impossible to think of a better cast to bring this strange and wonderful tale of London Underground to life.